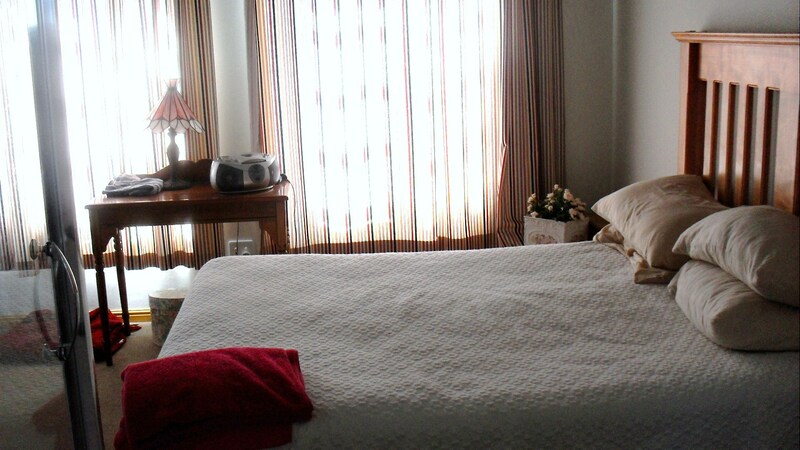 A spacious family home to let in the beautiful village of Greyton. 4 bedrooms, 4 bathrooms (2 x m.e.s. ), huge open-plan double-volume living area, fitted kitchen, dining room, mezzanine study/TV room, double garage & gardener’s WC. 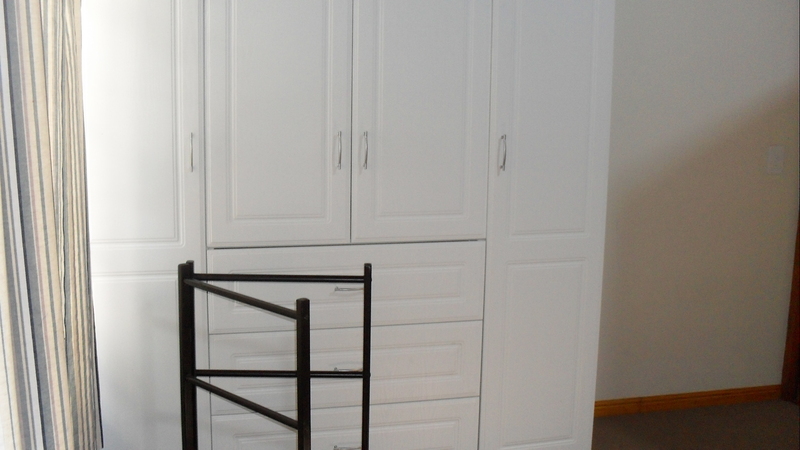 Generous built-in wardrobes in each bedroom and linen closet in each bedroom wing. 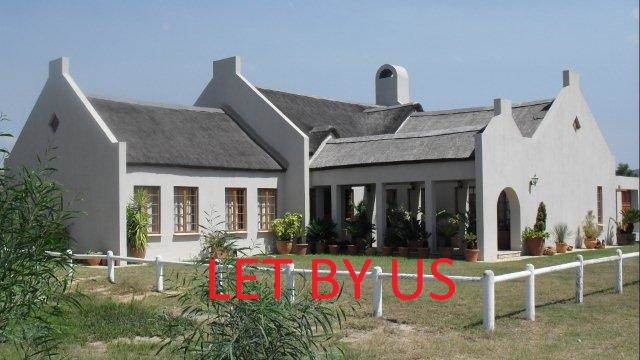 This spacious family home to let in Greyton is available to let from 1st October 2018 at R13,000 per month. For those who haven’t yet discovered Greyton, our village is the gem of the Overberg, a historical village founded by Sir Herbert Vigne in 1854, where horses and cows roam the pretty, oak-lined lanes and everybody greets you. 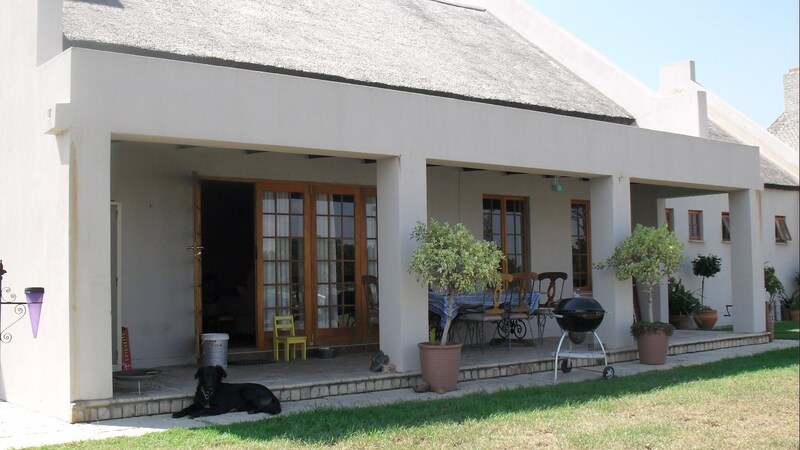 We have cosy coffee shops, gourmet restaurants, art galleries, interesting shops, 3 well-stocked mini supermarkets, a fantastic doctor, and the Greyton Equestrian Centre at Silky Oaks Eco Resort offers livery, half-leases, lessons and exhilarating horse trail rides through the commonage or alongside the river. 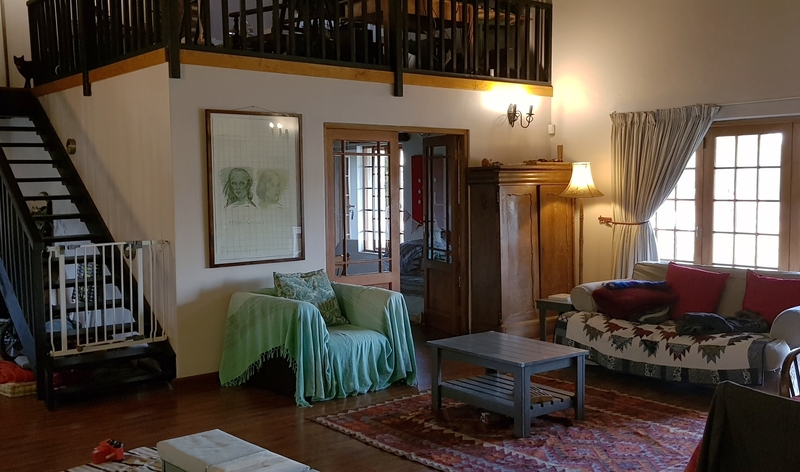 We have a tennis court, a fabulous weekly farmer’s market, and the 2,222 ha Greyton nature reserve, with 3 rivers flowing through it, offers hidden kloofs to explore, rock pools and waterfalls. Greyton is home to an interesting cosmopolitan community, and is located 30kms off the N2 just before Caledon, just 141 kms (1.5 hours drive) from central Cape Town. Greyton is the first official Transition Town in South Africa, and a flagship project of the Western Cape’s 110% Green Initiative.